Offers due Tuesday, 4/16 at 11:00 a.m. A classic Breuninger-built colonial, convenient to everything. Quintessential Westgate! Set back from the road with plenty of driveway for easy parking, this 3BR / 2.5BA is sited just 1-1/2 blocks from Westmoreland Circle. Exquisite details: nearly 9 ceilings, HW flooring (signature random-width HW floors on bedroom level); large living room with FP, dining room with bay window, oversized family room or office on main level, main lvl powder; welcoming screened porch. 3 BR + 2BA baths up; large attic with dedicated stairs for storage or future expansion. Lower-level rec room with fireplace, storage, garage access, and 1/4-bath plumbed for future bathroom. Garage! Deep yard for even more expansion possibilities. Westbrook / Westland / B-CC schools. A delightful and welcoming neighborhood. 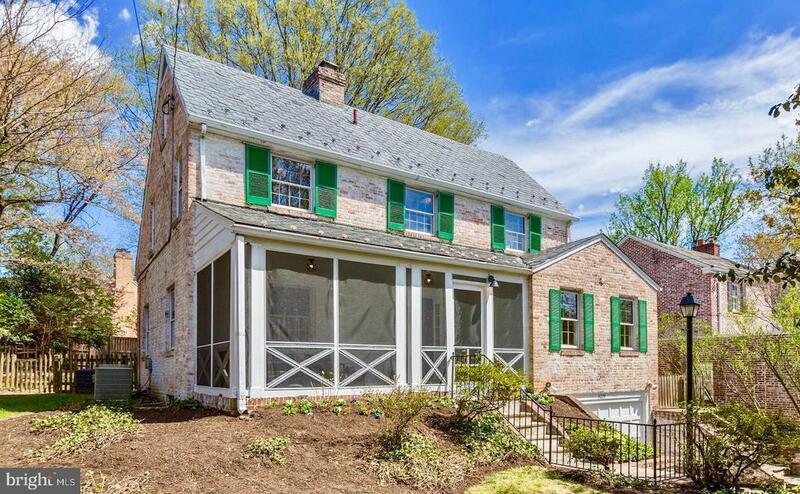 Easy access to Friendship Heights, Spring Valley, Capital Crescent Trail. Beautiful hardwoods, fresh paint - just a gem.